TOPAZ HORIZON: "Here is the stuff of which fairy tales are made"
Many of you were moved by the wedding sermon I wrote about last week. Now let me share with you another one. 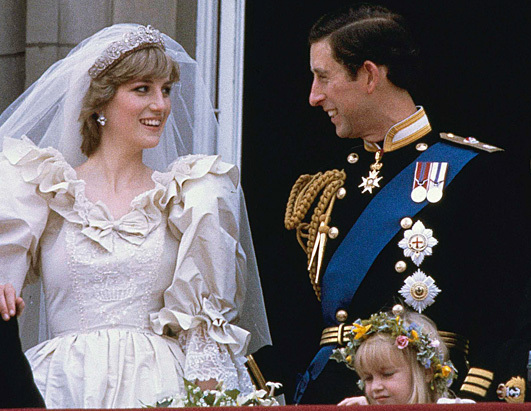 Nearly thirty years ago, the Archbishop of Canterbury told Prince William and Lady Diana and the 750 million people around the world watching their wedding that marriage is not a fairy tale and yet married people truly can live happily ever after. "Here is the stuff of which fairy tales are made. The prince and princess on their wedding day. But fairy tales usually end at this point with the simple phrase: 'They lived happily ever after.' This may be because fairy tales regard marriage as an anticlimax after the romance of courtship. "This is not the Christian view. Our faith sees the wedding day not as the place of arrival, but the place where the adventure really begins." The Archbishop then talks about how marriage is not the end of the love story, but the beginning. It is when creation happens--creation of a lifelong partnership, creation of a family, creation of the building blocks of society. So through marriage, we are given the power to shape the future exponentially. "If we solved all of our economic problems and failed to build loving families, it would profit us nothing. Because the family is the place where the future is created good and full of love, or deformed." 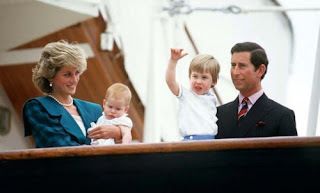 He then adds that every married couple is a "royal" couple, especially on their wedding day. And that is true, or why else do we wear the gowns, have an entourage, be toasted and celebrated and adored? Some brides even wear tiaras! "Those who are married live happily ever after the wedding day if they persevere in the real adventure which is the royal task of creating each other and creating a more loving world. "This is our prayer for Charles and Diana. May the burdens we lay on them be matched by the love with which we support them in the years to come. And however long they live, may they always know that when they pledged themselves to each other before the altar of God, they were surrounded and supported not by mere spectators but by the sincere affection and active prayer of friends." Well, as we all know, that marriage wasn't supported by the love and prayer of friends. The world, strangely, seemed to want to tear apart Charles and Diana. And all marriages in general, come to think of it. So may we all support our marriages and families! And to William and Kate, you have our best wishes and sincerest hopes for a life lived happily ever after.